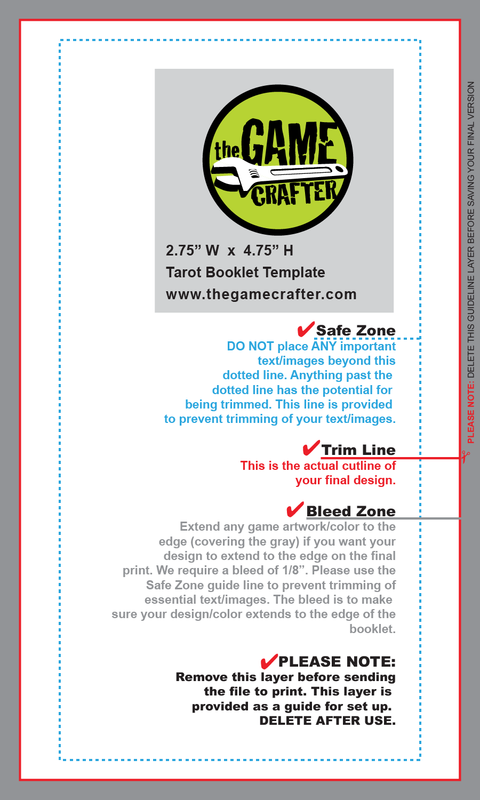 A saddle-stitched booklet designed specifically for the Tarot Tuck Box. Due to the nature of saddle stitching booklet pages are printed 4 to a sheet. Please be sure to indicate (in the 'Page Number' field) the order that the pages should appear in your booklet. Each page must be uploaded as a separate full bleed image. A 20-page booklet takes up the thickness of 4 cards in a box.